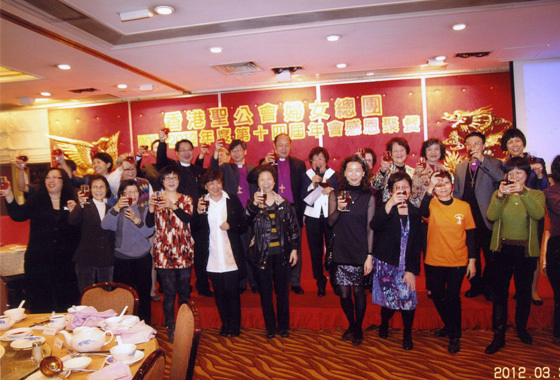 Hong Kong Sheng Kung Hui Women's League ("The League") is a fellowship body under the Province of Hong Kong Sheng Kung Hui with a long history. 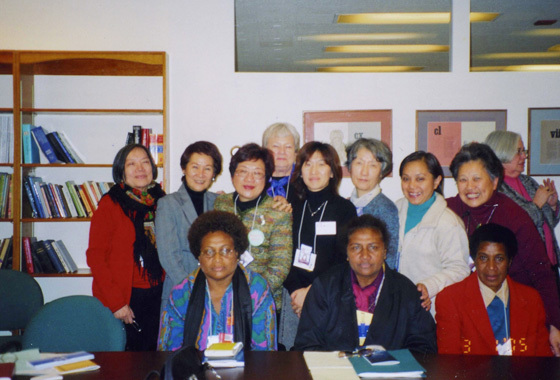 Since 1892, the Episcopal Church of the United States of America has first started the United Women Ministry of the Anglican Church in Shanghai, China. 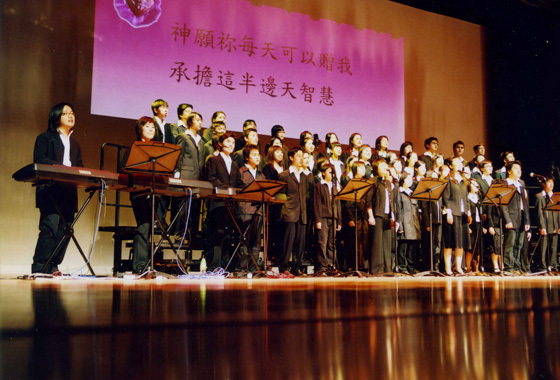 It has also founded the Diocese of Hong Kong and Macao Women's Service Group in 1946. Upon the establishment of the Province, The League was officially inaugurated on 20th March 1999. The League is aimed at uniting women within the three Dioceses in Hong Kong and the Missionary Area in Macau, i.e. 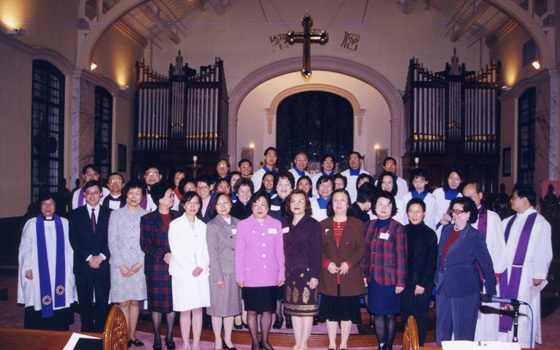 The Diocese of Hong Kong Island Women Group, The Diocese of Eastern Kowloon Women Group, The Diocese of Western Kowloon Women Group and The Missionary Area of Macau Women Group. The League holds the annual general meeting, during which nine executive members are elected. The Chaplain of The League is appointed by the Primate of the Province. The League has inherited the missions of missionary and service of the Anglican Communion since the 18th Century. Internally, The League organizes volunteer work, fellowship for seniors and regular group visit to the elderly, talks and sharing gatherings for young women. It also organizes Christmas celebration gatherings and dinners for the elderly every year to share the joy and good tidings with them. Externally, The League, representing the Hong Kong Sheng Kung Hui, participates in the "World Day of Prayer" and the "Women's Ministry". And upon invitation by the Anglican Communion, The League also sent our young women as delegates to attend "The United Nations' World Conference on Women" in New York. For our Motherland, The League engaged in the project of establishing the Drinking Water System in the mountain area in Guizhou through fundraising. 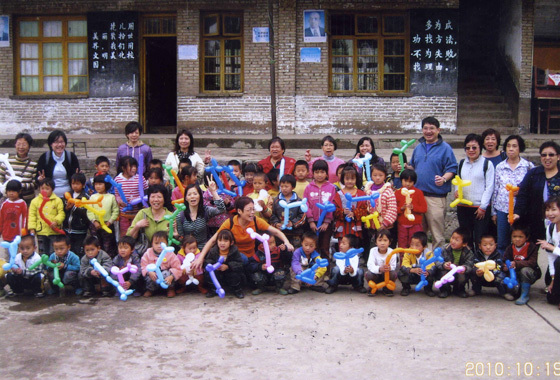 Subsequent visits to the beneficiaries in 2007 and 2010 brought the love of God to the people there. Every year, The League uses the fund raised to aid the parishes and missionary churches in providing welfare to the people in need. It has also established the "Hong Kong Sheng Kung Hui Women's League Foundation" for women seminarians to encourage more women to respond to the calling of ministry. In the future, The League hopes to continue reaching out to more women of churches and take up more responsibilities. May our sisters in Christ become the salt and the light of the world to glorify the name of the Lord.